Thomas Gilbert Skillman Sr. - Skillman Family Association Inc.
You are here: Home » History » Skillman Obituaries » Thomas Gilbert Skillman Sr.
LEWISTOWN – Thomas Gilbert “Tom” Skillman Sr., 91, of Lewistown, was born July 23, 1921, in Baltimore, and went to be with the Lord at 12:30 a.m. Friday, May 17, 2013, at Malta Home, in Granville. He was the son of the late Sophie M. (Jory) Skillman, of Baltimore, and the late George R. Skillman Sr., of Philadelphia. He is survived by his wife of 54 years, Marilyn J. (Hetrick) Skillman, whom he married Nov. 1, 1958, in Lewistown. Tom is also survived by: his children, Thomas, in Canada, David, in Illinois, Robin, in Lewistown, Marti, in Glasboro, N.J., and George, in Port Deposit, Md. ; several grandchildren; and numerous great- grandchildren. He was preceded in death by: a brother, George; a sister, Dorothy; and a half sister, Joyce Pennacchio. He was educated in Baltimore. He served in the U.S. Navy during World War II, first as an electrician on the Navy base at Mare Island, Calif., and then on the USS Alabama, in the Pacific. Before and after the war he worked as an electrician at the Maryland Dry Dock shipyard in Baltimore. After an automobile accident, he went to work for the International Postal Supply Company in New York. He moved to Lewistown with the company as service manager and then left IPS to work as a township policeman in Granville Township. While there, he took numerous courses on police work in several colleges in Central Pennsylvania. He also attended the Allentown Police Academy, where he was president of his class. He retired as chief in 1986. Tom was an avid reader of nonfiction books on World War I and II and the Civil War. He was a member of Lewistown Presbyterian Church, where he was ordained an elder in 1980. He was past president and one of the founders of the church’s men’s association. He served as president of the board of trustees and held various positions in the Sunday school. He was past president and one of the founders of the Lewistown Pistol Club. He was a life member of the National Rifle Association and was a member of the Crewman’s Association of the USS Alabama. He was a retired member of the Fraternal Order of Police, Blue Lodge No. 45. 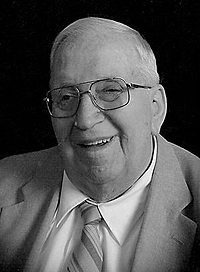 His funeral service will be held at 11 a.m. Monday, May 20, 2013, at Heller- Hoenstine Woodlawn Funeral Home, 200 N. Main St., Lewistown, with the Rev. Robert Zorn officiating. Interment will be in Juniata Memorial Park, where graveside military rites will be conducted by VFW Post 7011, Lewistown. His family will receive friends from 10 a.m. until the time of the service Monday, at the funeral home. In lieu of flowers, contributions in Tom’s memory may be made to Lewistown Presbyterian Church, 17 E. Third St., Lewistown, PA 17044, or Malta Home, 105 Malta Drive, Granville, PA 17029, or Lewistown Home Health, 305 Fourth St., Pleasant Acres, Lewistown, PA 17044. Published in the Lewistown Sentinel on May 18, 2013.